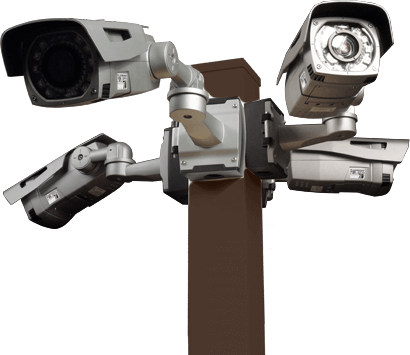 Strong Poles builds the strongest Security Camera Poles in the world. Since introducing our second generation camera poles, the SteadyMax Series, we are now manufacturing the most rigid poles in the world. 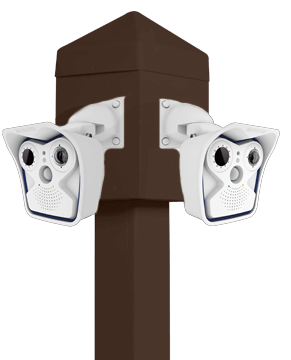 These security camera poles and Light Poles are designed to reduce the amount of movement and shake commonly found with many light poles. In fact, now that we provide Factory-Installed Vibration Suppression Systems (Read More) inside every SteadyMax Pole, these poles are not only stock-still steady, but they actively fight any additional sway or vibration that may occur from winds, Trains or other vibration causes. We are so confident that you will get a long lifetime of rust-free life from these super strong poles, that we back them with a 20 Year Structural Integrity Warranty (3 Year finish and material warranty – all warranties are limited to replacement and/or repair). 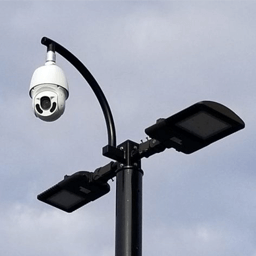 5′ tall poles that are commonly used for license plate recognition, machinery monitoring, and other applications where it is important to be down on the same level with the area, machine or vehicle that is being monitored. 8′ tall poles parks and pedestrian areas, gates, entry/exit points, etc. 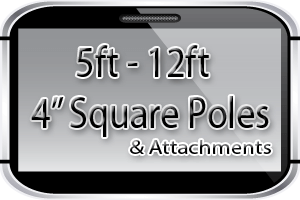 12′ tall poles are one of our largest sellers. 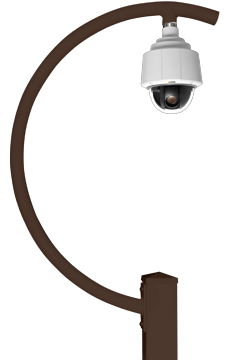 These are used for just about any purpose imaginable, and are at an excellent height for Facial Recognition and LPR. 12′ Florida pole for areas that require a wind Load rating up to 190 MPH. 12′ Solar & Wireless Poles for use with solar panels and/ or wireless equipment. 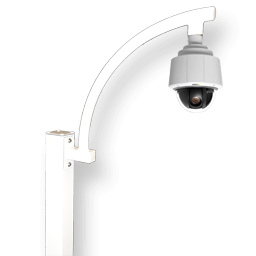 16′ tall poles that are our best sellers, and are best suited at an ideal height for most surveillance and security applications, such as License Plate Recognition, gates and pedestrian entry/exit points, etc. 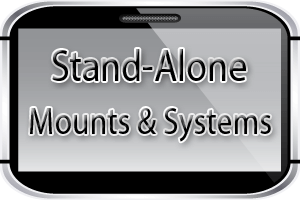 20′ tall poles that are perfect for parking lots, wide area surveillance and long distance applications. 25′ tall poles for longer distances and applications where greater height is needed. 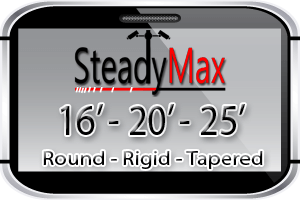 Our new SteadyMax Poles are the strongest, most Rigid Poles we make! 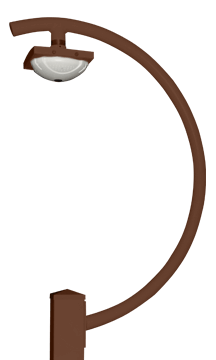 Each Strong Pole comes with a Handhole opening for making connections to Power and any other topology, such as Coax, Cat5/6, Wifi, Fiber, etc. our ‘Minimum Maintenance’ designs, fabrication and finishes provide maximum protection from defects and corrosion.